A Yesshow without Jon Anderson or Rick Wakeman? Yes it cpould be done. And it was, back in 1980 when the band toured behind the Drama album, I saw them in Chicago and I enjoyed it. 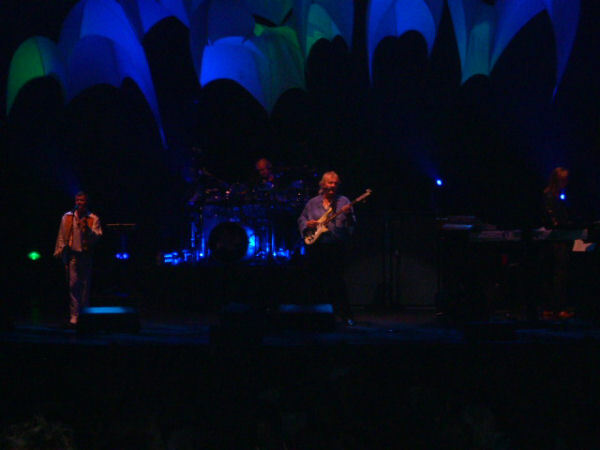 So when they came around this time, I anticipated a good quality show of Yes standards,which I got, considering the wide range of material they performed that night. 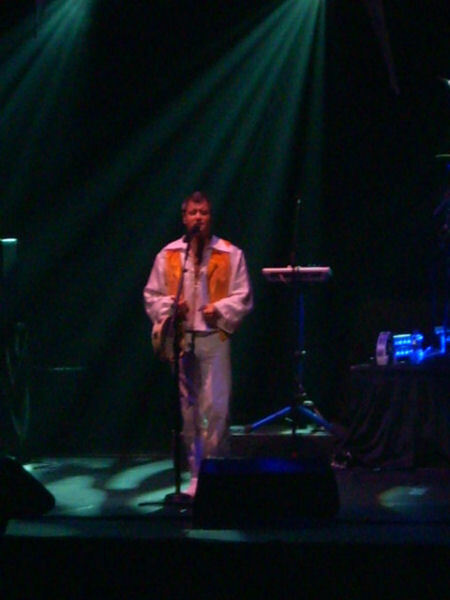 Benoit David, I felt, was a great frontperson, even though at times his vocal tone,imo, sounded more like Trevor Horn than Jon Anderson. And it's not a bad thing,it's a compliment,which made sense of the fact they did two songs off of Drama, which I really enjoyed. Two of the best songs, Tempus Fugit and Machine Messiah. 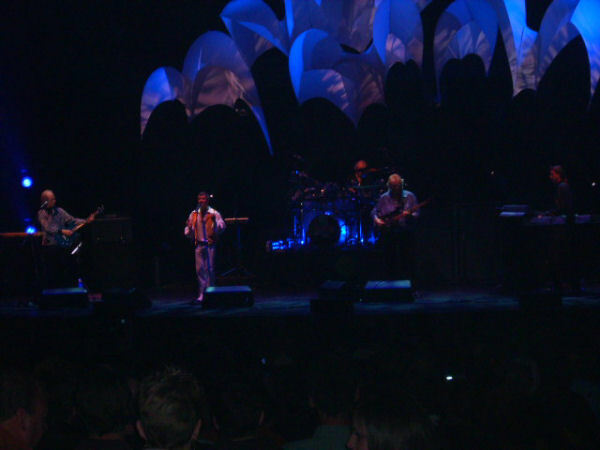 Other musical highlights were: Onward (which I've never seen live), Astral traveller (with an excellent well-placed Alan White drum solo) and Aliens, a newer Chris Squire song which sounded average to me. 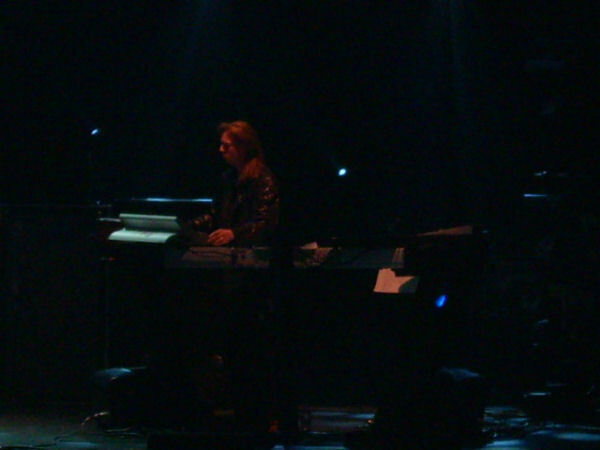 All the other classics were good if not spectacular, and Oliver Wakeman did a great job even though his keyboard mix could have been louder. 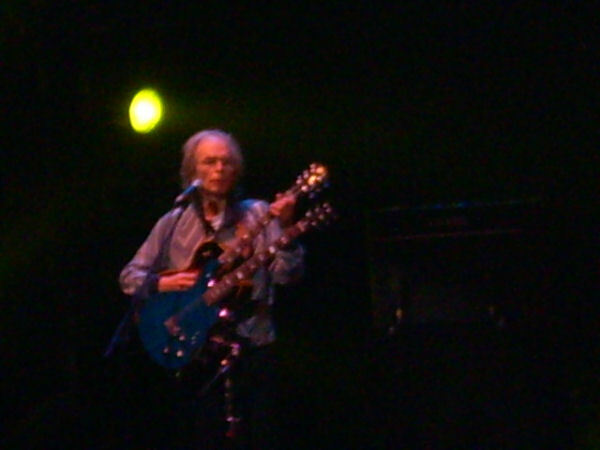 Steve Howe,Chris and Alan were great as usual. 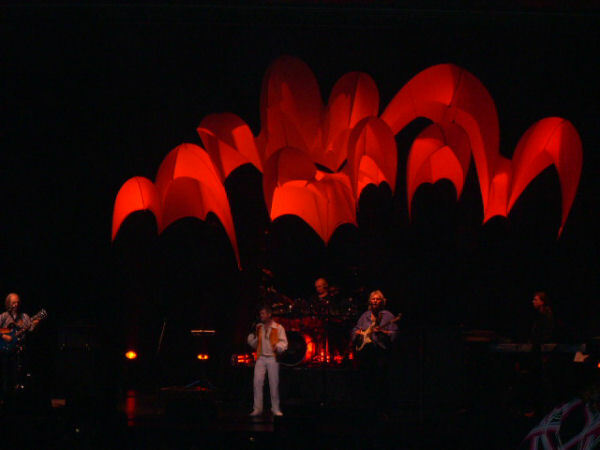 The Roger Dean-inspired staging was great too, looking more like a miniature version of the old classic 70s Dean staging Yes used to have. 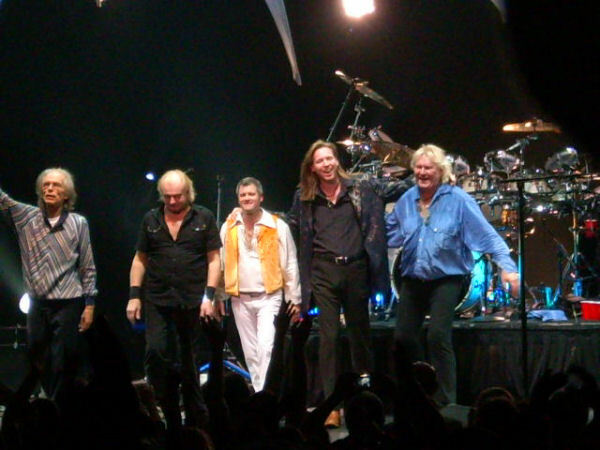 But it goes to show that Yes is still Yes, regardless of who's in the band. I forgot to add one thing in my review: my ticket to the show was an early birthday present! Could anyone's birthday get any better than that? 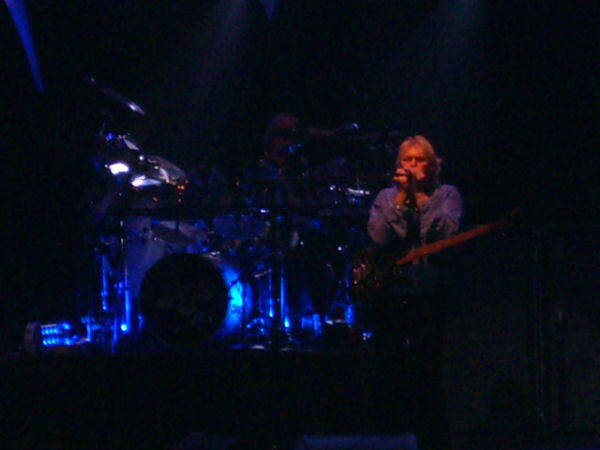 As my first time seeing Yes, it was nothing short of amazing. Everyone was perfect. Benoit was awesome. It was fun to close my eyes and listen. Jon might as well have been up there! The Moog Little Phatty got a nice workout from Mr. Oliver Wakeman. I finally got to see THE GUITAR. Steve's precious and beautiful ES175 and it sounded perfect. My friend Jason and I were third row on Steve's side, so we had a perfect view of just about everything. Long Distance Runaround/The Fish was excellant as well as Starship Trooper. The highlight was the entire Close to the Edge album. The lighting was really cool and the dry ice was great. There was almost a blunder; Steve's tech came out quickly during Close to the Edge to switch his pedal on so he could play his electric guitar. Well, it was almost forgotten and Steve said "Whew!" and wiped his forehead! It was cool. 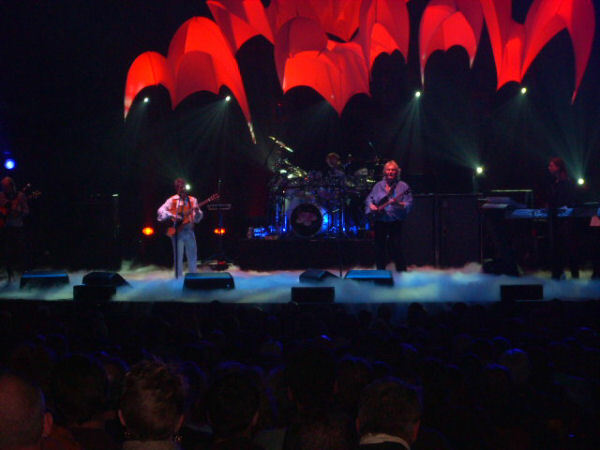 It was a perfect Yes show. I don't think I could have asked for anything more. What a show, what an evening! 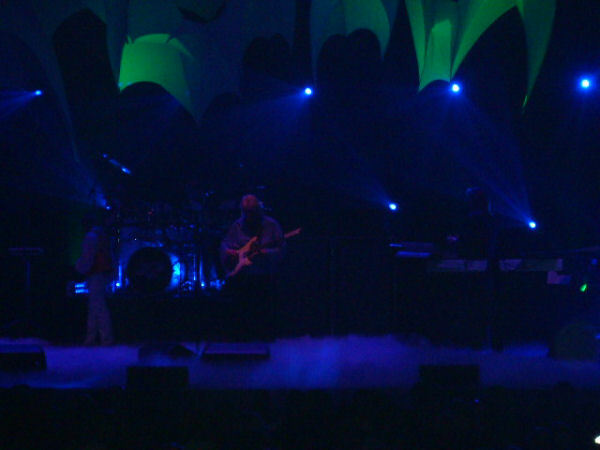 Curiosity buzzzed as the crowd waited to see how this incarnation of YES would hold up? No Jon, No Rick, an obscure singer from a tribute band and the keyboardist son? 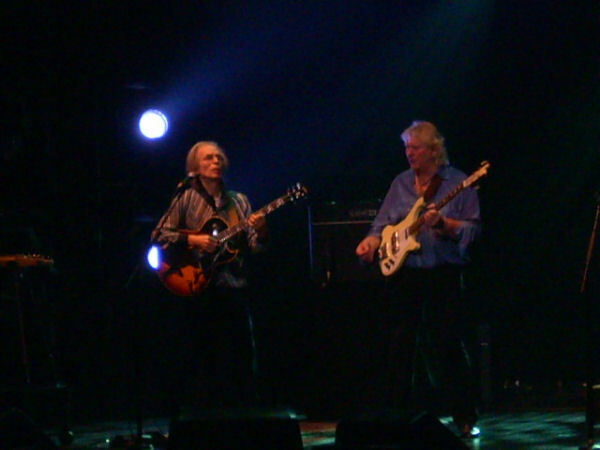 Well my friends, what we got at the Riverside Theater last night was a joyful and professional performance by one of rock n roll's legendary trios - Alan White, Chris Squire and Steve Howe. 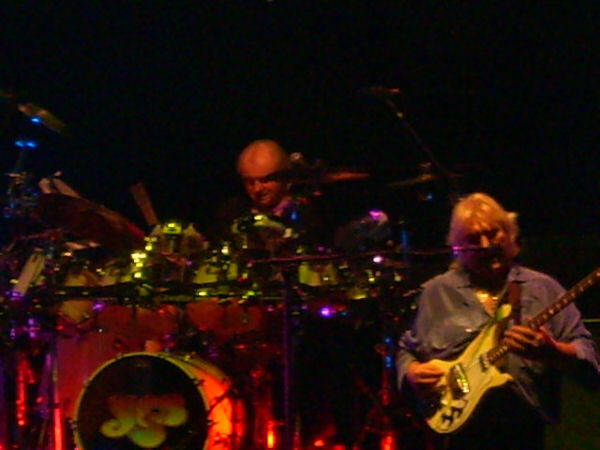 You could see from the outset that these three were thrilled to be back out performing YES classics and having fun doing so. 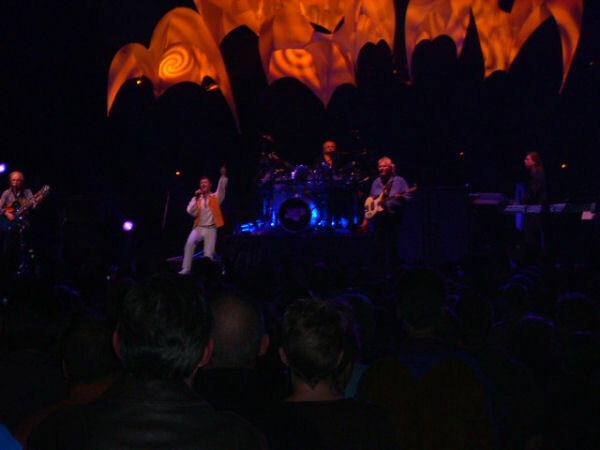 Benoit David did a suitable job on the vocals and if you weren't lookijng you'd think Jon Anderson was indeed singing 80% of the time. 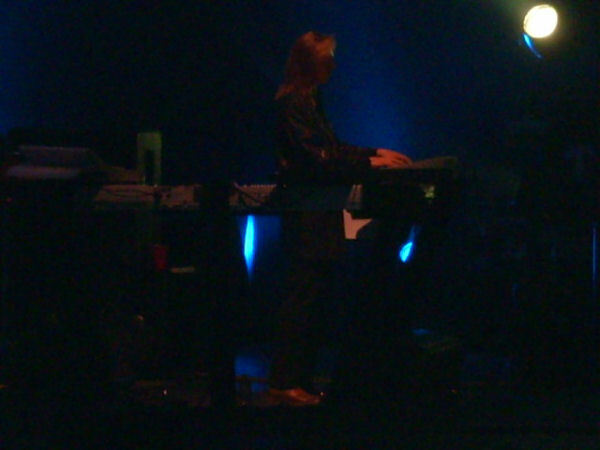 Oliver Wakeman was very subdued throughout the evening (maybe a bit nervous or intimidated playing with his father's bandmates) and stuck to the very basics on the keyboard parts. A capable stand in for his Dad but Oliver certainly doesn't have the flair or magical fingers of Mr. Rick Wakweman. OUTSTANDING setlist focusing on the the older, classic album cuts along with rarely played Drama pieces. 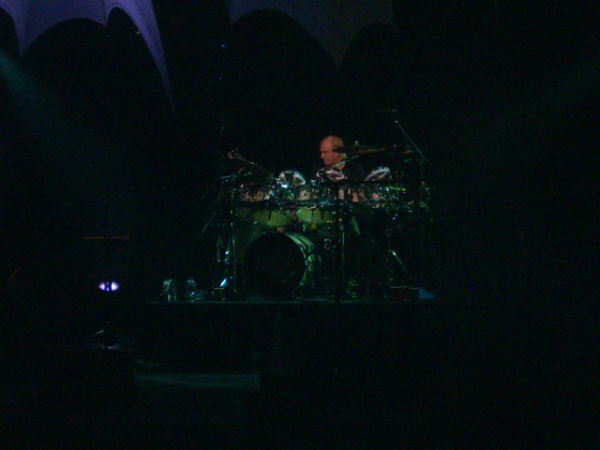 Steve's solo during "Roundabout", Chris' manic jamming during "Machine Mesiah", Benoit's "personal request" and vocal performance on "Onward" and Mr. Alan White's powerful thunder on the drums along with his ever present smile were the individual highlights for me along with the back to back performances of "Close To The Edge" and "And You And I" was epic! Nice stage show for a smaller theater along with aformentioned dry ice added a nostolgic touch. INCREDIBLE sound system delivered POWERFUL bass that shook the seats and rocked the house! 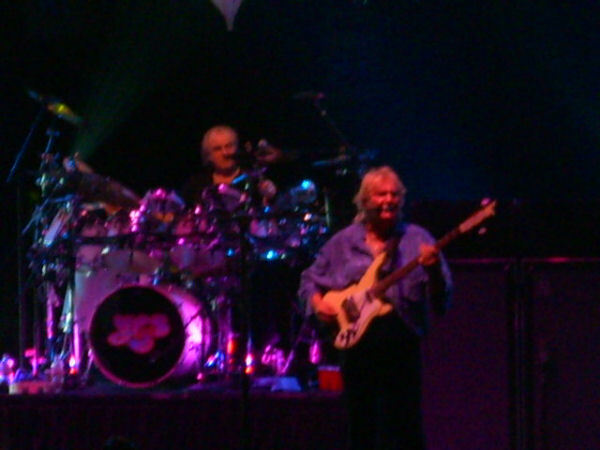 The only MINOR setbacks were the awkward "Aliens" Chris Squire fill-in song while Steve and Alan got a chance for a break, a brief problem with Steve's monitor during "I've Seen All Good People" and Benoit's mic issues during the "Owner Of A Lonely Heart" encore. All in all though it was an OUTSTANDING performance and VERY memorable evening! Can't wait to see what YES will do next! 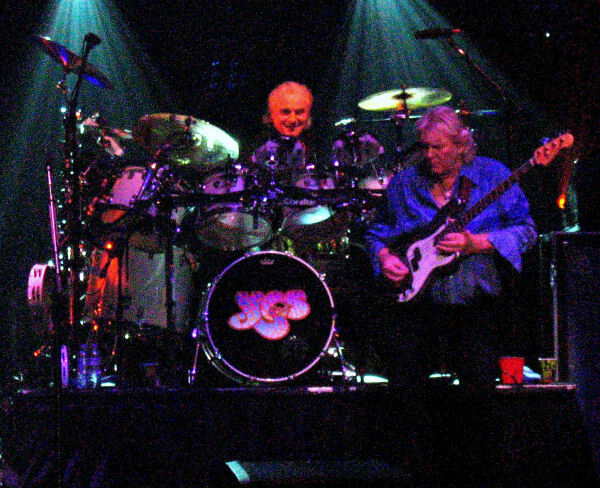 A fine, fine evening of Yes music, observed third row balcony in a lovely theater. Benoit David raises the legitimate question of "what if?" --as in, "what if Yes had hooked up with an Anderson sound-alike in 1980, instead of Trevor Horn?" I sensed no hostility or lack of welcome for the newcomer, and I think the band's decision to start the show with Siberian Khatru, showcasing his vocals as well as his ability to blend with Howe and Squire, goes a long way towards building that acceptance. 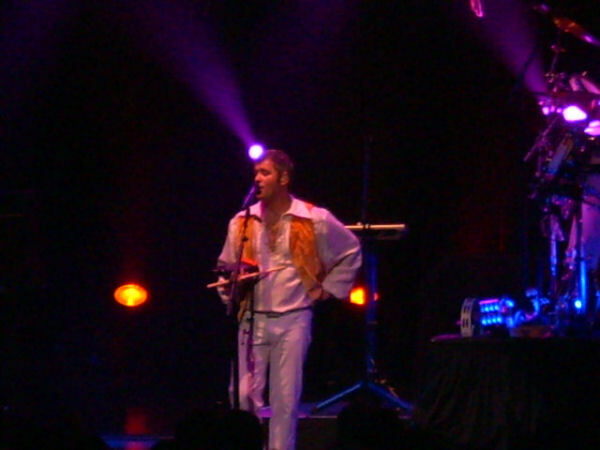 Although his voice lacks some of Anderson's unique characteristics, one would be hard-pressed to create a better replacement Yes singer in a lab. 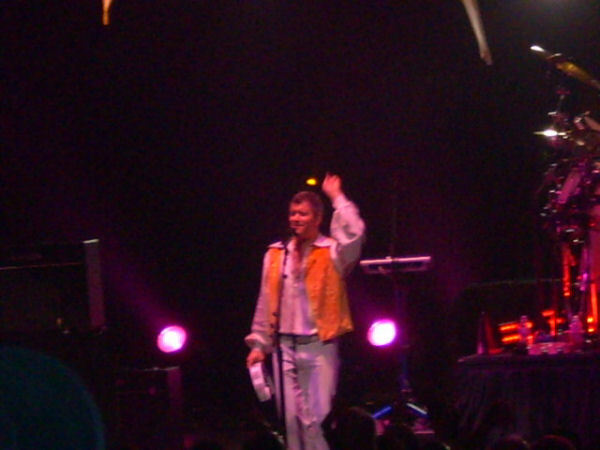 Curiously, I thought his French-Canadian accent was stronger in the songs (particularly AYAI) than it was in his brief interactions with the audience. 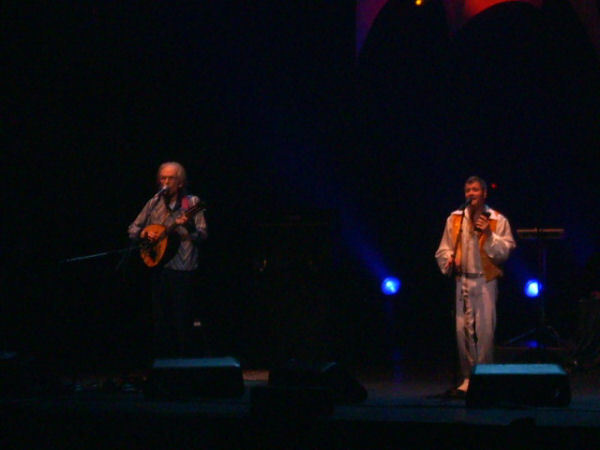 The veteran trio of Howe, Squire, and White was everything I've come to expect. The new track, "Aliens", was not exactly worth the price of admission--if you read the lyrics as a poem in the sidebar of a literary magazine or sci-fi digest you'd nod in thoughtful assent and quickly move on. As a song, it doesn't really have a grab-and-hold quality. 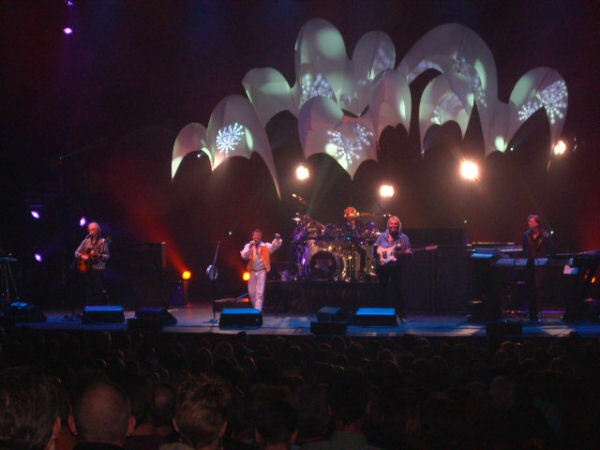 As for O. Wakeman--well, it was clear enough which one of the five hasn't been performing Yes music on a regular basis for years. He was certainly adequate to the music, but the first half of the show didn't seem to be the best showcase of his talents. His contributions to CTTE seemed to be rushed, even pieces set up to allow the keyboard player to shine. The second half seemed to be stronger for him, including his solo opportunity in Starship Trooper. Machine Messiah and Aliens were other songs where he seemed most comfortable, or at least, most top-of-his-game. It's easy to covet another show's setlist--I certainly would have loved a chance to hear Parallels live, and given a wishlist could have asked to substitute a 70s tune or two (along with Aliens) in favor of a couple of the better tracks from OYE, Ladder, and/or Magnification. But the two Drama standouts were, well, standouts. They also went over very well with the audience, easily receiving some of the biggest ovations of the evening. The main performance was solid-to-excellent throughout. The encore of Owner and Roundabout suffered, as something went wrong with David's mic (replaced mid-Owner), monitor, and earpiece--he was continually removing and replacing the earpieces throughout the two encore songs trying to get comfortable, and gesturing at his monitor with his foot in the hopes that somebody would change something. It didn't seem to happen. I'm extremely reluctant to try to read the minds of performers based on their on-stage mannerisms or body language--they are, after all, *performers*. 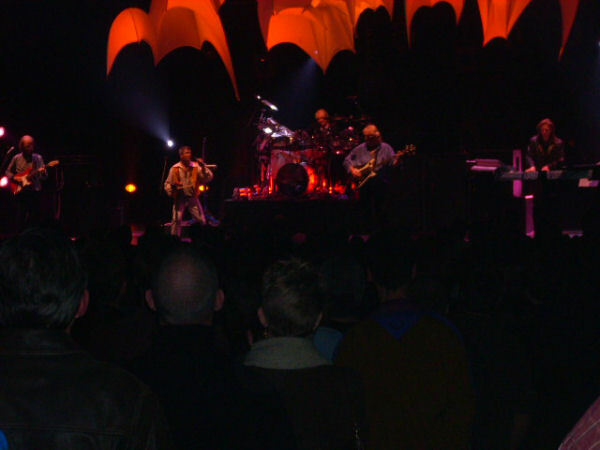 All I can say is that I have read review after review over the years talking about Steve Howe's crabby or touchy demeanor, and in six Yes shows since 1997, plus two Asia shows on their recent reunion swing, I have seen no evidence of it. 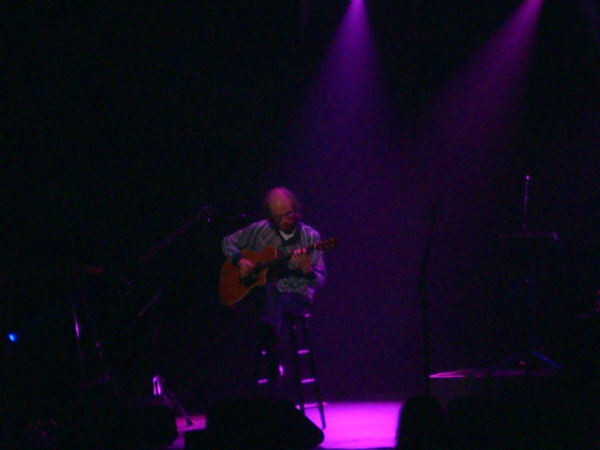 His stagecraft (moving around, leg kicks, dancing with the slide guitar) was the most I've seen in the Yes shows, more comparable to the greater levels of animation I saw in the Asia shows. I offer no interpretation or theories. As usual, we're left wondering will-they-or-won't-they about future tours or recordings, and which lineup will we hear if and when it happens. 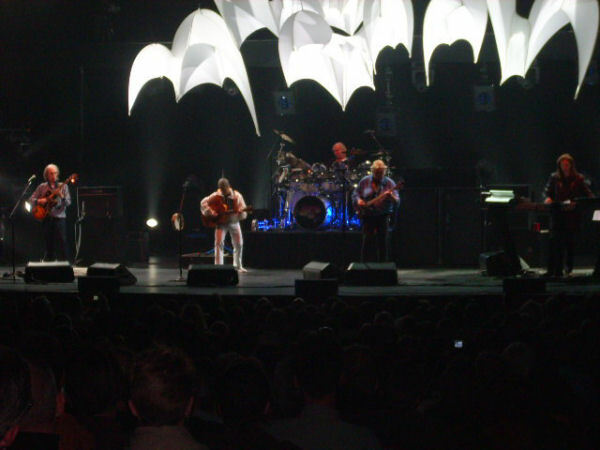 This Yes fan would embrace more output from these five. I tried to record a couple of songs with my camera, but I only got to "Firebird Suite/Siberian Khatru" and "Tempus Fugit" before an usher told me to stop. Alan pulled off an amazing solo at the end of "Astral Traveller," which got the crowd really riled up. The crowd also responded well to "AYAI" and "LDR/Fish," which Chris just ripped on. 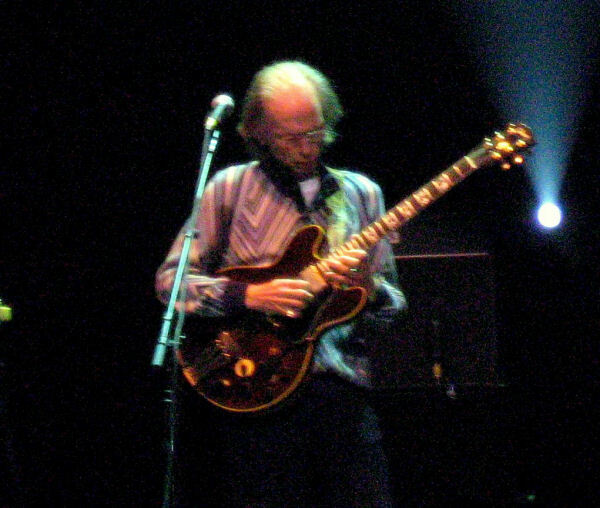 Then, it looked like Steve had problems with his guitar, but it was only the beginning to "Machine Messiah," another crowd pleaser. "Aliens" was good to hear, and I hope the band releases an official single of it. At the beginning of "Owner," Benoit's mike wasn't working, but the mixer guy fixed it and the rest of the song went along great. As usual, crowd response to "Roundabout" was overwhelming, and it seemed like the crowd and the band went home happy. After the show, my dad and I stuck around to see Steve being driven out! 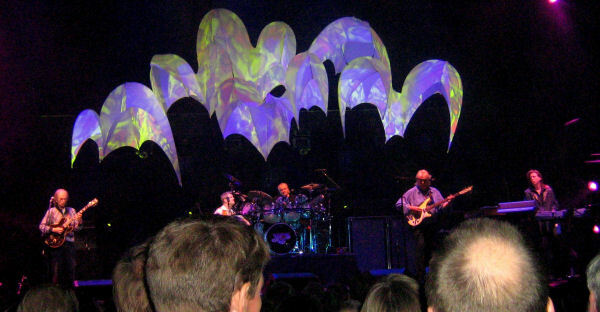 All in all, I saw and heard firsthand that Yes delivers a great show, no matter who's playing. I was extremely impressed by Benoit David! I was on the fence about going to see this tour without Jon. I bought the tickets for myself and my girlfriend the morning of the show and soon after I purchased the tickets, I came across the video for the TV appearance that Squire, White, and David did recently. Ugh! I thought "what did I just buy tickets to?" I have seen the band a number of times throughout the years and my girlfriend had never seen them although she is very familiar with much of their classic catalog. 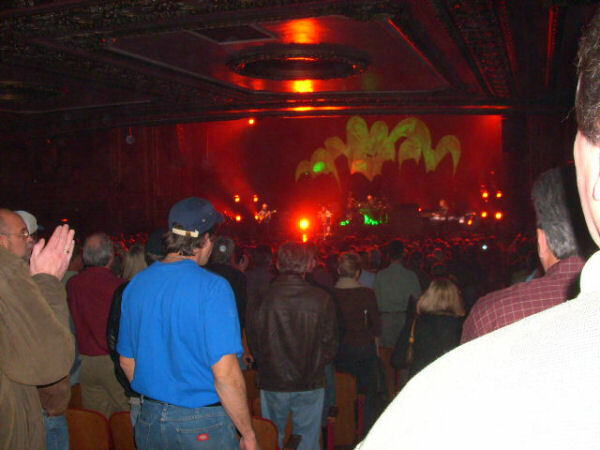 So, I was a bit nervous before the show started, thinking that it might be a sad way for my girlfriend to finally get to see Yes. Not to worry! They were great. Benoit was really, really good. I was actually a little disappointed with Oliver Wakeman. More so with the keyboard sounds, I guess. There is nothing like the sound of good old analog gear and his patches in the digital boards really didn't approximate those sounds too well. 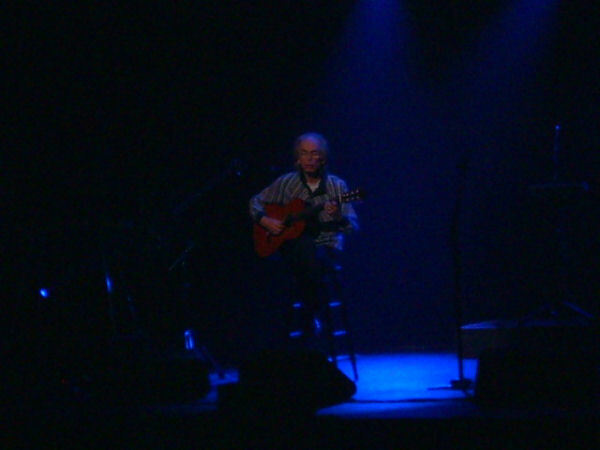 Steve Howe was fantastic. My girlfriend and I saw him not too long ago with Asia. Yes is a better vehicle for him. 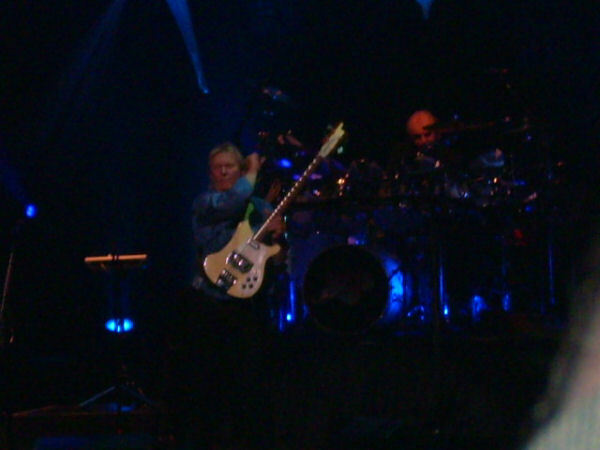 Chris Squire was incredible as well. I did feel a bit sad for him though because he looks to be in bad health. Maybe it was a good thing we saw them now... Alan White played well, but he could have played with a bit more force and snap. Being a drummer myself, there seemed to be a lack of drums in the mix because it seemed like Alan was really holding back. Would have liked to hear a bit more snap in the snare drum. But that was minor. I thought the one clunker of the night was "Owner of A Lonely Heart". I love that song but, I think they should drop that. However, it was a real treat hearing the Drama material, Astral Traveler, and Close to the Edge was off the charts! If you're on the fence about going, check it out. You wont be disappointed.